Your supplement flavors are likely the first lasting impact that you will have on a customer. More often than not, if your product doesn’t live up to their predetermined standards based on the flavor you have chosen to emulate, there is a good chance they won’t purchase the product again; even if it works. While most products available on the market may be chalky or bland, JW Nutritional can help develop supplement flavors your customers will love. With the wide variety of similar products available on the shelves of local supplement stores, it can seem hard to find your place in the already crowded market. While you could differentiate your product by investing in great, eye-catching packaging, it likely won’t be enough to encourage a potential customer to purchase your product. However, this is where flavor development can shine and make your product as unique as possible. For example, when you think of a pre-workout supplement, the first flavor that likely comes to mind is Fruit Punch or some derivative that heavily focuses on a particular fruit that comprises the drink. If this was your initial thought, you aren’t alone. In fact, nearly every company starts with a fruit punch flavoring when pushing their product to the market initially because they want to “play it safe”. However, if you are willing to take the risk, this behavior could pay off immensely. 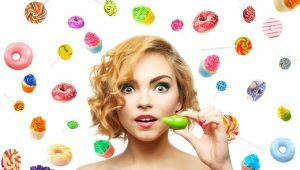 Because many companies will fall into this dreaded trap, it has become incredibly easy for businesses to take advantage of new or unique flavors as a way to draw in new customers and quickly find their fair market share in the supplement industry. To help achieve this, JW Nutritional will utilize both natural and artificial flavoring options to develop supplement flavors that closely match your desired flavor profile. Whether you want something sweet or tend to crave more savory flavors, we are sure to have the perfect fit. Once our Research and Development team has perfected your target flavoring, we will send test versions of the completed product to the client for approval. This ensures you are completely satisfied with not only the flavoring of the supplement but also the efficacy and results. Any changes that need to be made to the flavoring can then be completed as requested or the product can move to the production line to be prepared for market.